VroomVroomVroom makes it easy to book a reliable car rental in Lower Hutt. We compare all the cheapest car hire deals in New Zealand from top suppliers like Budget, Avis, Hertz, Europcar and Thrifty. Lower Hutt is New Zealand's seventh most populous city, with an estimated population of about 103,000.The city is separated from Wellington proper by the harbour, and from Upper Hutt by the Taita Gorge. Why book a car hire in Lower Hutt at VroomVroomVroom? VroomVroomVroom can help you find an affordable rental car in Lower Hutt. Here are some reasons why you should rent a car through VroomVroomVroom. Book a car in less than 2 minutes: There is no need to scroll through hundreds of websites. Thus, you swiftly avoid the hassle of waiting in line or filling up the necessary documents before you can get your car keys. Great rates: We have negotiated with our rental car partners so we can provide the best price. Read our Price Promise to gather more information. Trusted since 2001: Book with confidence because we are the experts in rental cars. Contact our expert Customer Care Team via email, phone or live chat. Influenced by Marine - Mild Winter climate, the city consists of a humid climate with relatively warm summers and mild winters. The hottest month in Lower Hutt is December, while the coldest month is July. But make sure to prepare for rain, thunderstorms and snow. Explore Lower Hutt in a hire car with VroomVroomVroom. Just thirty minutes drive from Wellington city, Lower Hutt is full of gems, like the harbour suburb of Eastbourne and the wild Wainuiomata coast. The bright lights of Wellington are 'just up the road', as we say in New Zealand, so once you've checked out Lower Hutt, search out more great ideas for your road trip adventure in our Wellington Travel Guide. There are no toll roads in the Wellington region, however you may come across a number of these highways in Auckland. Just outside of Wellington is the city of Lower Hutt. New Zealanders love their cafe culture, and Lower Hutt has more cafes and coffee shops per capita than New York City. It also has the pretty sea-side towns of Eastbourne Bay, and Days Bay, as well as being handy to a relaxing riverside location. It's a great option for collecting your hire car without travelling to the hustle and bustle of Wellington City. Explore the wild places at your own pace. From Lower Hutt you have convenient driving links to the wine country in the Wairarapa, or the Kapiti Coast. A contemporary art museum which is only a fifteen minute drive from downtown Wellington. It houses the valuable and varied collection of New Zealand craft such as jewellery, ceramics, glass and textiles. Exhibitions highlight talented local artists, in mediums as diverse as Art Deco buttons, to contemporary ceramics. Hours: Mon - Sun, 10:00 am - 5:00 pm. This art space showcases traditional Maori carving and weaving alongside other contemporary art forms. You can relax by visiting their studios while admiring the art walk and galleries. Be tempted by truly unique and authentic arts as souvenirs! Hours: Mon - Fri 9am-3.30pm, Sat-Sun 10am-3pm. This is the number one tourist destination in this city. As they say, you've haven't been to Lower Hutt if you have never visited this magnificent river. Walk or cycle the Hutt River Trail, starting at the Hikoikoi Reserve on Petone's Marine Parade. Visit on a Saturday for the Riverbank Market, a chance to stock up on fresh local produce or sample the wares from a fleet of food trucks. Contact the Hutt River Ranger - 04 567 6609. This clinic of natural medicine is a place of peace and tranquility. Located in one of the most scenic valleys of the Belmont Regional Park, it's only a 20-minute drive from the Wellington CBD to get to this serene spot. They provide information regarding supplements, herbs and dietary advice. All the practitioners use muscle testing to assist them in their consultations. Drive around the bays to Eastbourne in your hire car. This sea-side village has a friendly vibe. Chill out in the cafes, or check out the art galleries and antique stores. The locals boast that this is where you find Wellington's best beaches, with Days Bay and Muritai Beach alongside Eastbourne itself. Grab an ice-cream at the Days Bay Pavilion. Rated as the No. 1 Accommodation in Lower Hutt for four consecutive years by the TripAdvisor, the Boulcott Lodge is located only a few minutes walk from both the CBD and from Hutt and Boulcott Hospitals and Pacific Radiology. It is also just a 5-minute drive from historic Petone, and only 15 minutes drive or less via rental car from central Wellington. This contemporary 5 star motel provides superior accommodation with fully appointed suites designed to meet the needs of corporate guests, families, or visitors to the region. In addition, Boulcott offers a high degree of safety and security for all guests. All accommodation is internally accessed via a secure swipe card system and all entrance ways and common areas, including car parks, are video surveillance monitored. Even the management are available at all times. 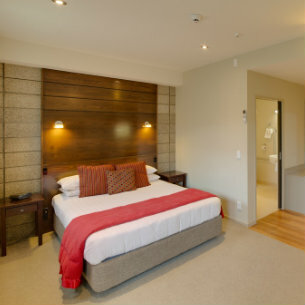 Choose 83 By the Sea Motor Lodge if you are searching for family motels, or corporate accommodation in Lower Hutt. This quality motel accommodation which is situated on The Esplanade near at the Petone Beach, is only a short walk to Jackson St Petone. The motor lodge offers a modern, cozy accommodation which ranges from studios, to one bedroom and two bedroom units, perfect for travellers needing to explore the fab Wellington area. Avis Lower Hutt Petone - 35A Annie Huggan Grove, Lower Hutt, NI. Budget Lower Hutt - 35a Annie Huggan Grove, Petone, Lower Hutt, NI.